And the beat goes on….with the beginning of a six-week celebration of our first two years! From now until May 18 we’ll be featuring stories of how CPAW NJ supports the community and saves outdoor cats. We hope you especially enjoy seeing the tireless work of our own “cat rescuers” putting your donations and support into action! 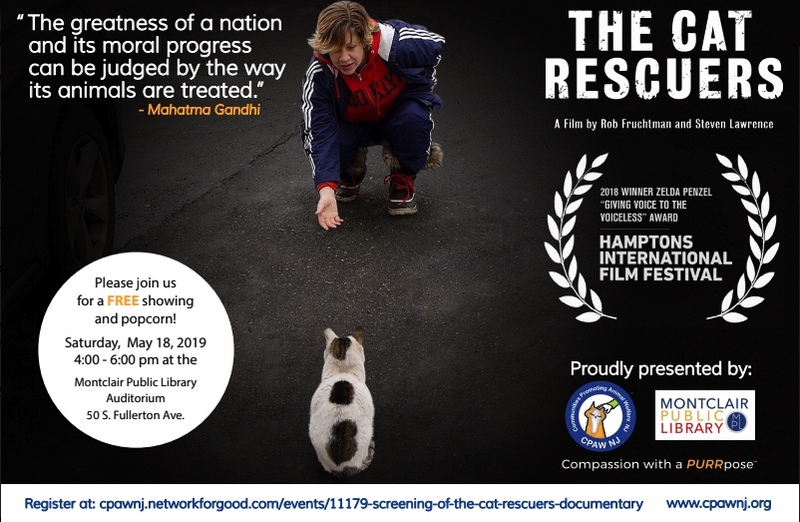 Then… Join us on May 18 for a showing of The Cat Rescuers, a documentary which won the 2018 Zelda Penzel “Giving Voice to the Voiceless” Award at the Hamptons International Film Festival. Click HERE to register! shhh…. 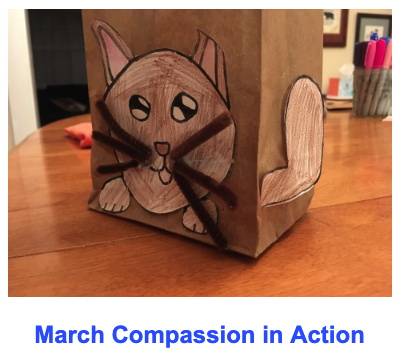 there will be special guests and free popcorn in bags designed by local Montclair volunteer Cecilia M.
Pregnant female cats seemed to be everywhere. 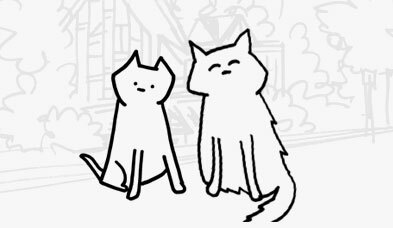 If you talk to anyone working with outdoor cats, they will tell you that kitten season is ALL YEAR LONG. 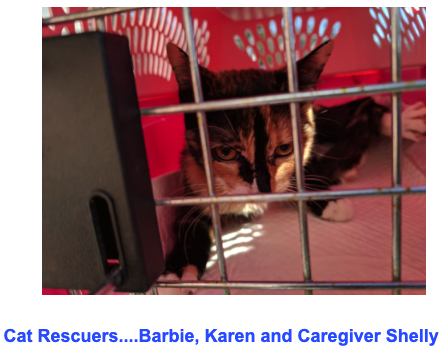 Those needing help is greater than ever … so our focus has been on promoting our monthly spay/neuter van initiative and building our volunteer base so that we can do more trapping. 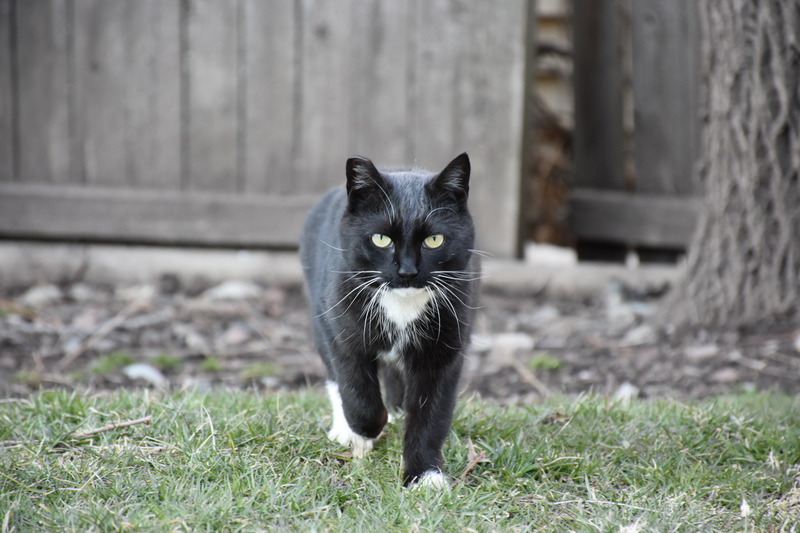 Resources are key: outdoor cat caregivers getting cats on a regular feeding schedule so food can be withheld for trapping, trappers, transporters, spaces at low-cost clinics or vets for the spay/neuter, recovery space and volunteer time, and transport for release. TRANSFERS TO RESCUE: Through rescue pawtner we transferred 36 kittens and cats to be adopted and live inside. again, the need is never ending! 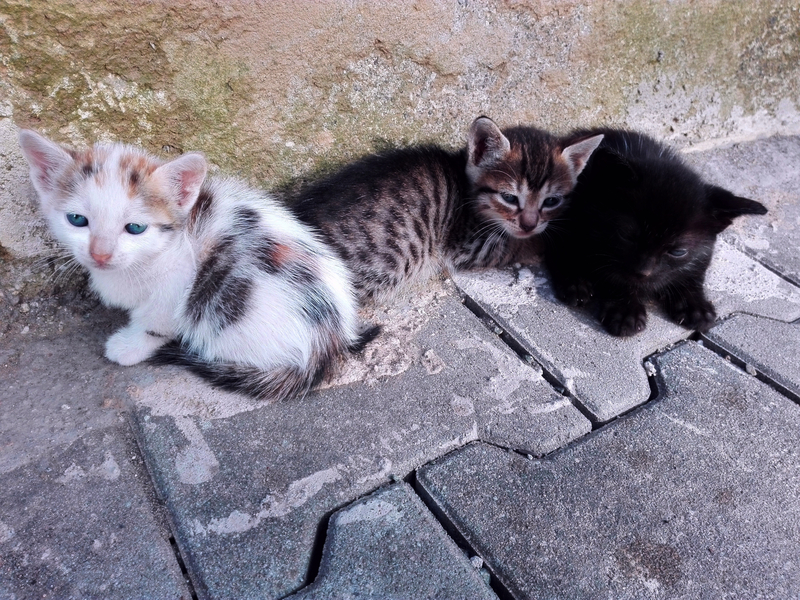 Please spay and neuter your cats…can’t say it enough times! Meowy thanks to all who helped these cats along the way and to Amber and Kylie for the final transports to our Connecticut pawtner. Every cat fostered represents hundreds of hours of care to be ready to find its furrever home. Foster families rock! SPAY/NEUTER: 15 companion animals (or kittens rescued) were spayed/neutered this month, along with 25 cats released through Trap, Neuter, Vaccinate, Return (TNVR). The monthly spay van at pawtner Acme Markets on Valley Road, Upper Montclair, was a resounding success! 20 cats now have shots and will longer, healthier lives. Look at this cutie! Caregiver Shelly worked for weeks to trap a new outdoor male cat who was causing trouble with her existing colony. Such dedication….first trying to feed in the small trap and when that didn’t work, learning about the drop trap. New volunteer Barbie helped with trapping of Malcolm, above. It took two different traps and many tries but finally with a drop trap we got Malcolm. Executing the drop trap is tricky….and Barbie had the important job of pulling the trap string to bring the trap down when he was fully inside. 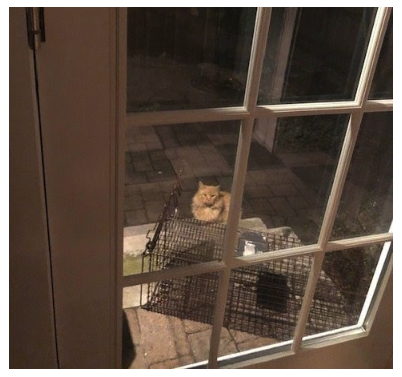 After the trap comes down someone immediately covers it with a blanket and holds the trap down while someone else aligns the transfer trap with the drop trap door. Malcolm finally went from the drop trap to the transfer trap and voila, he was on his way! 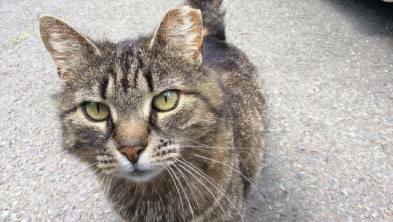 Malcolm is now back in his outdoor home, neutered and vaccinated. Paws crossed outdoor life there is more harmonious. Our Volunteer Coordinator, Yvette Wade, met her while working one night in February. She noticed Nevaeh and 3 other cats had made their home under steps at an apartment complex. Immediately she pulled out cans of cat food and began feeding. (What else would a CPAW NJ volunteer do? Lol.) She noticed Nevaeh would sniff to find the food instead of just going straight to it. Nevaeh couldn’t see well and it was clear she had serious eye infections. After trying to get Nevaeh for weeks, Yvette along with a local resident finally trapped her on March 28th. Thanks to pawtner Blue Pearl Veterinary Partners for making sure she had no immediate, life-threatening injuries….the next day we took her to Dr. Silver at Meadowlands Veterinary Hospital. 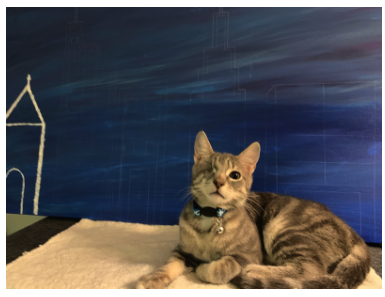 Her list of problems, typical of kittens who even survive outside, include an eye that has to be removed when she becomes stable, eye infections, mites, ringworm, worms, …. she’s an adorable little mess with a purry, beautiful spirit! So Yvette is learning about ringworm protocol and dipping and will be telling her story as she goes through lots and lots of treatment. She’s getting her second Lyme dip tomorrow and hopefully her first set of shots on Thursday. Neveah (“heaven” spelled backward) will require a lot of love and medical support to give her a fighting chance. She is a loving, beautiful creature. She is such a sweet kitten and with YOUR help she will hopefully make a full recovery. It’ll be a long road. Yet for all of the Neveahs who don’t survive or who aren’t lucky enough to be rescued and continue to suffer outside, she reminds us of why we do what we do. 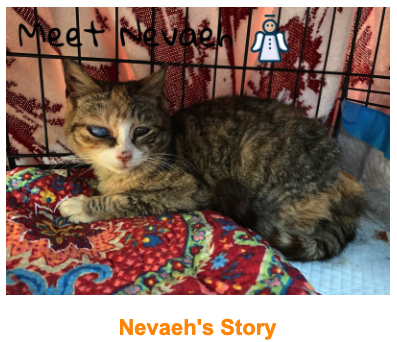 Follow Nevaeh’s story here. PLEASE DONATE or VOLUNTEER if you can. WHY NOT SHARE THIS NEWSLETTER WITH A FRIEND? 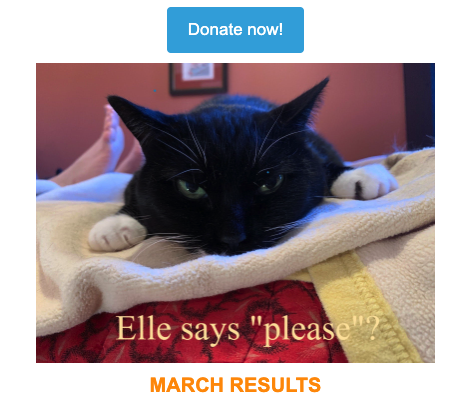 Thanks to those who donated in March! We are an all-volunteer organization that relies on your generous support. If you’ve never donated before, how about a $5 a month donation? That’s $60 a year and would spay/neuter one community cat! If you can make a bigger impact, how about a one-time donation of $100, which would allow us to help someone get their pet spayed when they can’t afford it themselves? 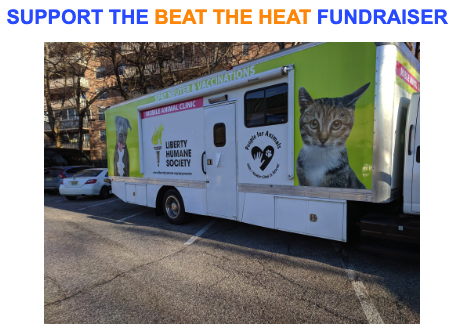 And if you want to help us create a voucher program for the monthly spay van, how about a $550 donation to help us defray the costs of 10 tnvr cats at one of the spay vans? Many folks feed and can learn to trap but can’t afford the spay costs. Copyright © 2019 CPAW NJ, All rights reserved.